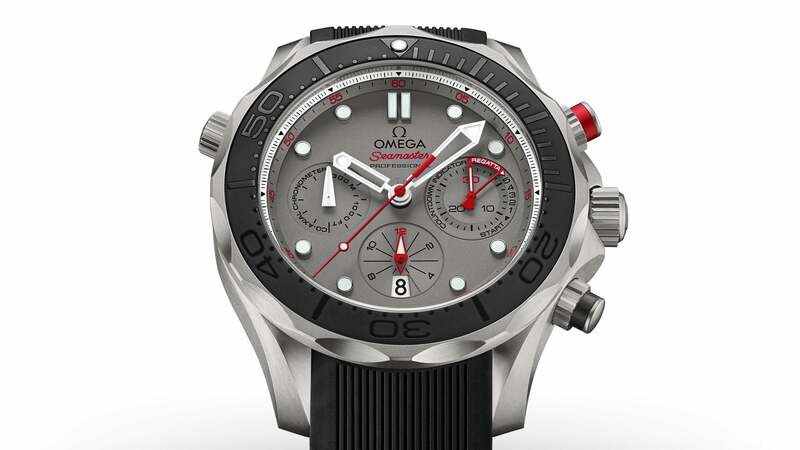 OMEGA has long supported the able yachtsmen of Emirates Team New Zealand and the Seamaster Diver 300M ETNZ boldly celebrates the brand’s relationship with the renowned sailing team. 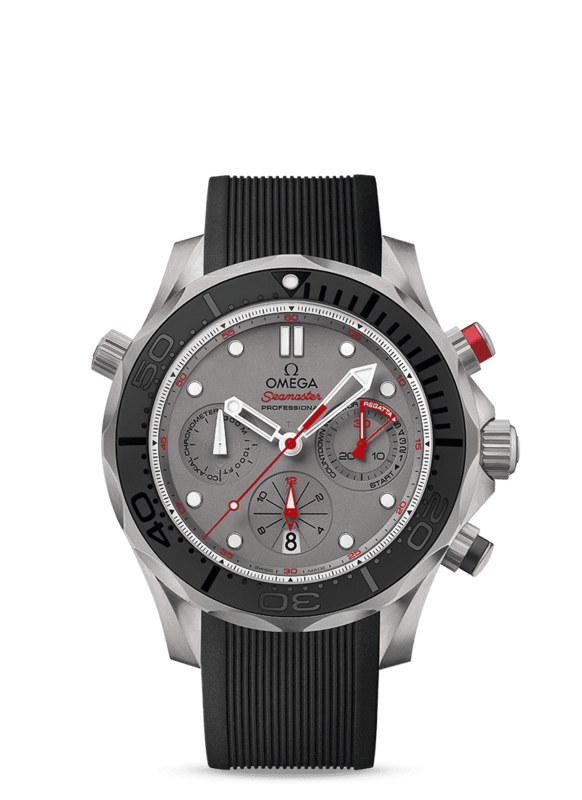 The OMEGA Seamaster Diver 300M ETNZ has a black ceramic unidirectional rotating bezel with a polished diving scale whose indications have been created in relief using laser ablation. 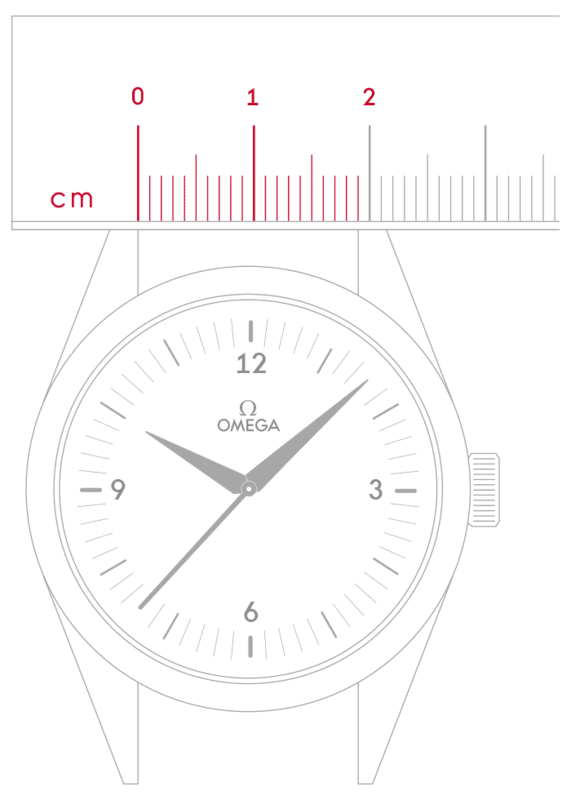 There is a dot at the top of the bezel at 12 o’clock which is coated with white Super-LumiNova that emits a green light. 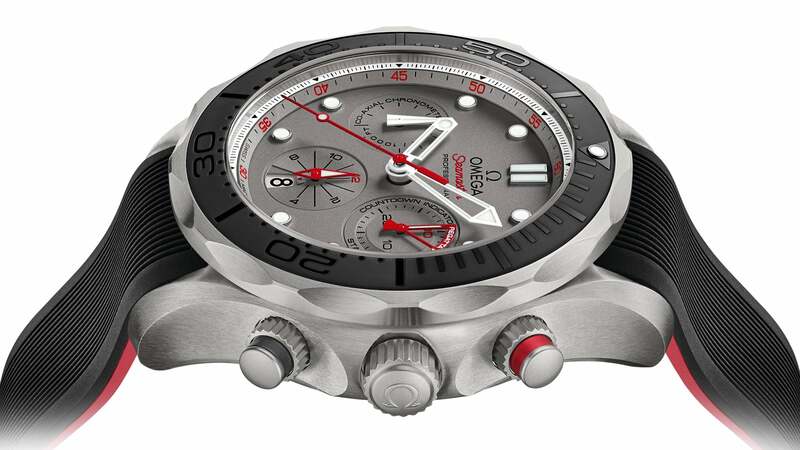 The sand-blasted grade 5 titanium dial has applied indexes coated with white Super-LumiNova. 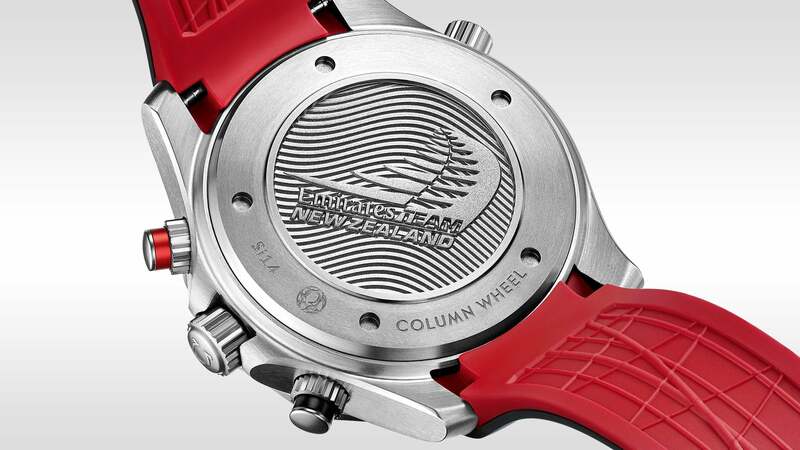 A silvery chronograph seconds track is on the outer edge of the dial; inside this ring is a titanium minute track. 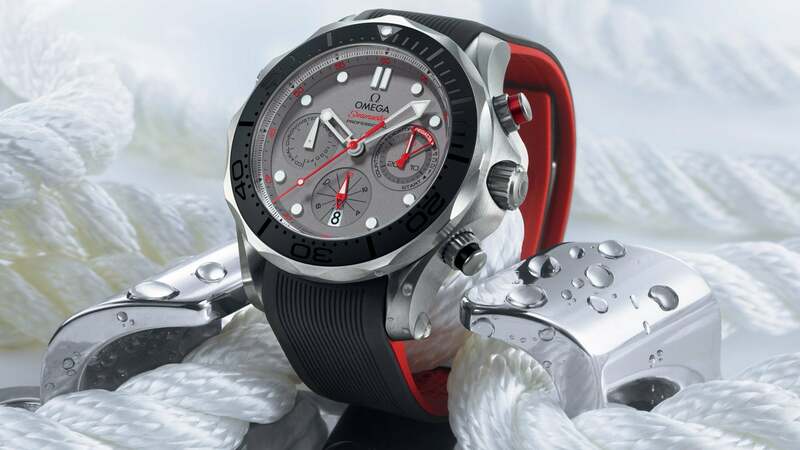 The three sub-dials include a minute recorder at 3 o’clock that is also a five-minute countdown timer to the start of a regatta. The 44 mm brushed grade 5 titanium case has pushers at 2 o’clock and 4 o’clock that stand out with a red aluminium ring and matt black ceramic ring respectively. 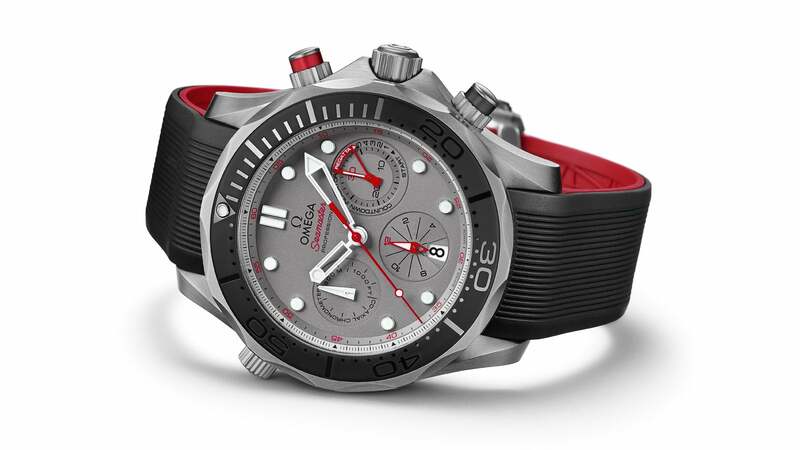 In fact, all of the elements that correspond to a chronograph function are coloured in red. There is also a helium escape valve with an integrated date corrector at 10 o’clock on the case. 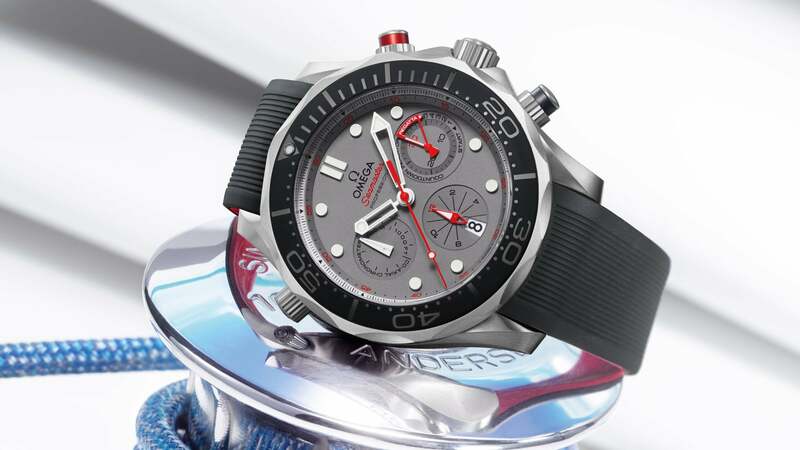 The Seamaster Diver 300M ETNZ is presented on a rubber strap with a foldover clasp. 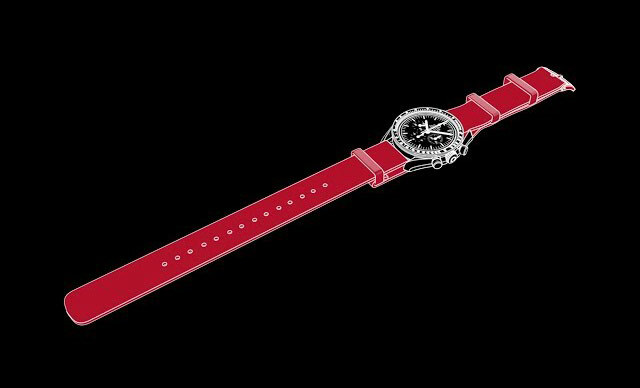 The top part of the strap is black and has a subtle ribbed pattern, while the underside of the strap is red and has a design that is reminiscent of the sails on the team’s boat. This pattern ensures that water and air can pass freely underneath allowing the skin to breathe. 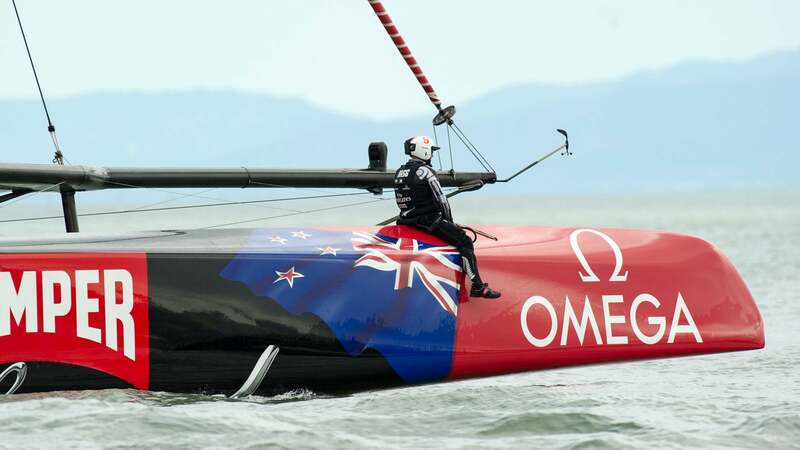 "The top part of the strap is black and has a subtle ribbed pattern, while the underside of the strap is red…"
OMEGA is proud of the partnership with Emirates Team New Zealand that started with Sir Peter Blake's America's Cup campaign in 1995. When Sir Peter retired from professional sailing after that campaign, OMEGA supported him as one of the main sponsors of his Blakexpeditions project until his untimely death in 2001. 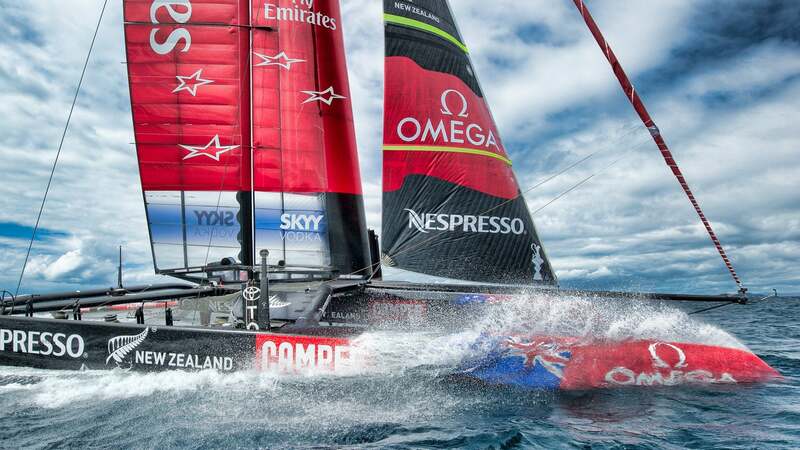 Since then, OMEGA has continued its support for ETNZ and looks forward to cheering it on in its next challenge for the America’s Cup in 2017.